Yamaha Motor Co., Ltd. (TOKYO:7272) announced today that it will exhibit for the first time at the HANNOVER MESSE 2018, a B to B industrial technology trade show to be held in Hannover, Germany, from Monday, April 23 to Friday, April 27, 2018. Based on the theme of “Fully-Digitalized Production through Robot Transport,” the Yamaha Motor booth will showcase the overall construction of Fully-Digitalized Production lines, including transport processes. 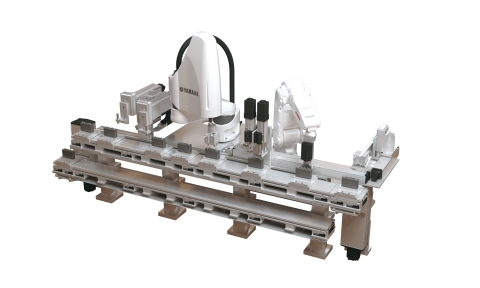 Yamaha Motor’s lineup of industrial robots ranging from industrial robots to controllers, which powerfully support the automation of production sites, is rich in variation. YMC builds on these strengths to pursue greater efficiency and quality in increasingly complex, diverse, and high-speed production sites.